Softether vs OpenVPN - Which one is better? Home » News » Softether vs OpenVPN – Which one is better? We were used to create charts about PPTP vs OpenVPN or PPTP vs L2TP etc. Today, we have a new comer. It is Softether and we are going to compare and contrast this new technology with OpenVPN to see which one is better. 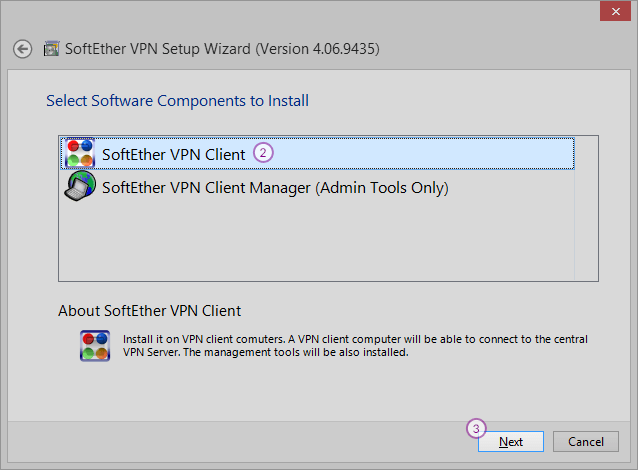 SoftEther is the abbreviation of the Software Ethernet and it supports multiple VPN protocols like L2TP, OpenVPN and SSTP. As of 2014, it is one of the most sophisticated VPN software ever written. Below you can see what it supports. Developed in Japan, Softether is free to use and open source. Moreover, it is Heartbleed safe since it uses OpenSSL 0.9.8. 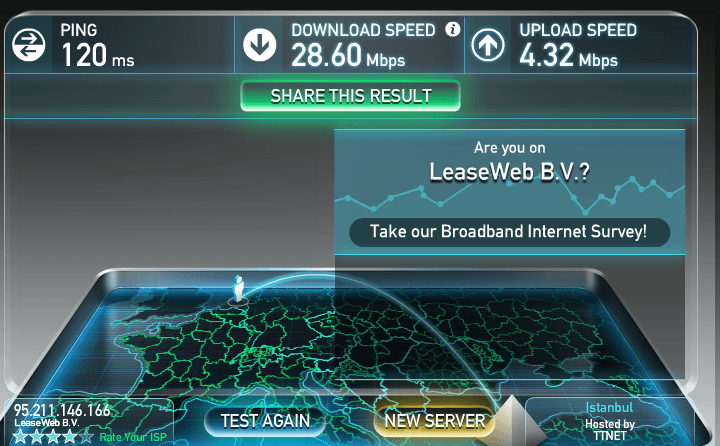 Let’s compare and contrast this new software with OpenVPN. 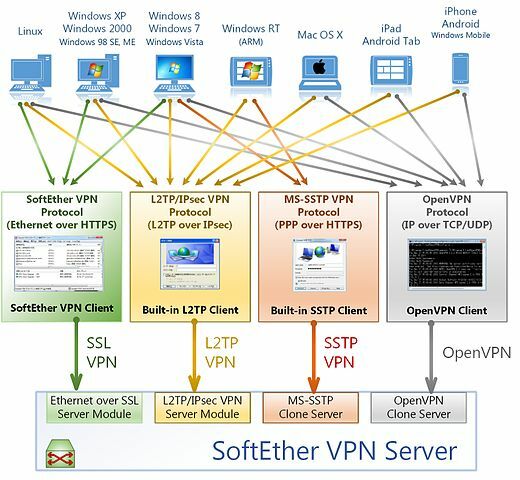 Chart itself shows how superior Softether to OpenVPN in many features. You can download this software here. After download is complete, double click on the installation file and click next. Then you will see the step 2 below. Finish your installation and start the program. You will see the configuration page below. There are some important parts you need to pay attention to. First of all, Softether is not supported by many VPN companies. Very first company implemented this system to their servers is CactusVPN. If you have a premium account with CactusVPN, you can get the Softether work with Netherlands server. 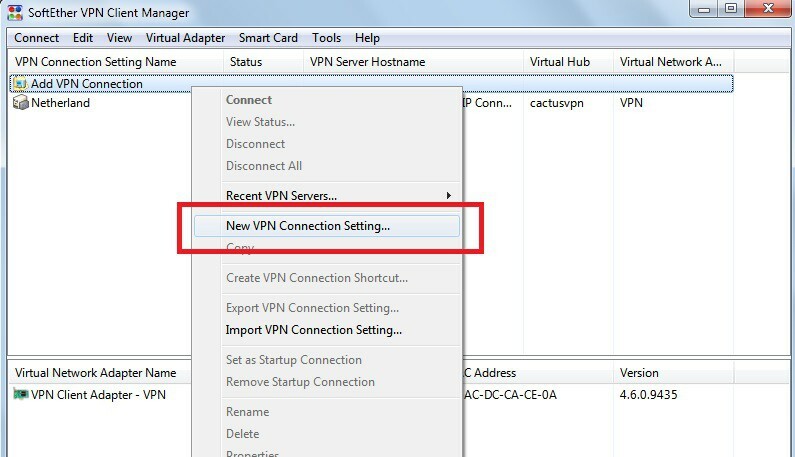 “Destination VPN server” credentials and the “User name & Pass” can be acquired from your client panel. 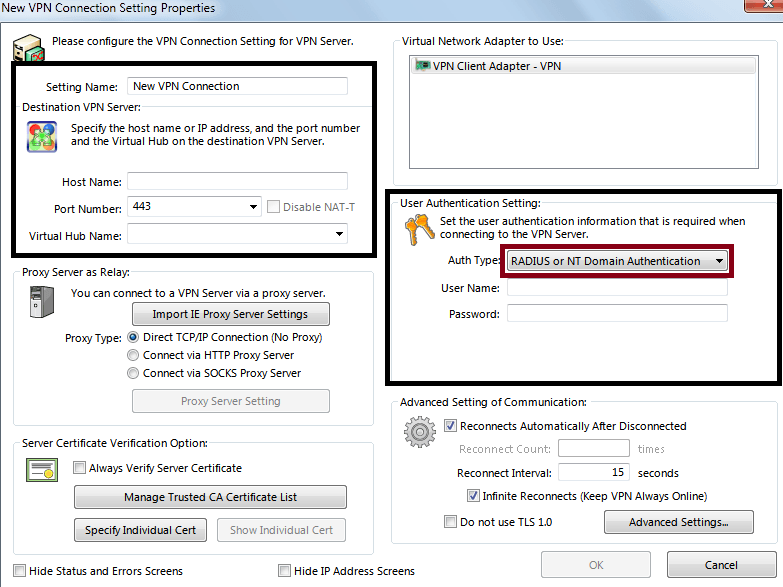 Make sure you select “Radius or NT domain Authentication” while entering your log in details. When I first started to use Softether, I immediately ran a speed test and I was really impressed with the result. You may also see the Softether test result screen shot. This is the first time I get that much high result from a Europe server. It is out of question that Softether will change the understanding of security, speed and portability in VPN world. Feature compare and contrast chart as well as the speed test results have already dethroned OpenVPN. Supporting more than 900 Mbps speeds, Softether seems to be widely used in the future as fiber optic cables, normal internet connections and wireless connections improves. Hoping to see other VPN companies implement this great software to their services. I am well pleased with Soft Ether VPN, but there IS one problem. My VPN is NOT concealed from my ISP. My VPN Network Adapters Have been remotely disabled by ISP, and trouble shooting returns a report that a cable or connection between my router and the internet is disconnected. How can I use Soft Ether VPN without my ISP being aware that a VPN is in operation? I’m afraid they may have some kind of restriction for network ‘tampering’ and i don’t want to lose my access..